It's hardly a secret by now that Huawei will release one of the thinnest smartphones out there, if not the thinnest, come its London event next week. At the rumored 6.2mm thin, and partly metal chassis, the Ascend P6 should indeed be a sight to behold, provided that Huawei got all the other components right. We recently reviewed the Ascend Mate, and the verdict was that it's the best phone Huawei has made so far, with nary a weak spot, but at 6.1" it is not for everybody, so if the ultra-thin Ascend P6 has the same build quality, it has every chance to become a success. You know, after using the P6 more and more, I've begun to notice how nice the side keys were designed and how good it felt to press them. Their positioning along the edge felt just right and natural. They aren't protruding out too much so you don't have to worry about the wrong button being pushed when it's in your pocket, nor are they too flat that they're uncomfortable to feel. We were able to find that "sweet spot." Bring it on, we'd say, and he also posted a teaser picture of the device to hint exactly how thin and metal-clad it is. Shallow tactile feedback of keys on super-thin handsets is a widespread issue, so if Huawei gave this attention to detail to the other aspects of the phone experience with the P6, we are optimistic. The company also issued a teaser video detailing the phone's trip from Beijing to London, with the obligatory for any youth-oriented phone parkour elements these days. Huawei, if you continue to design phones this way, you gonna make some serious money. it looks great, but i think a majority of people prefer features, specs and the screen over looks. A new phone is not really a status symbol anymore like back in 2007-2010. 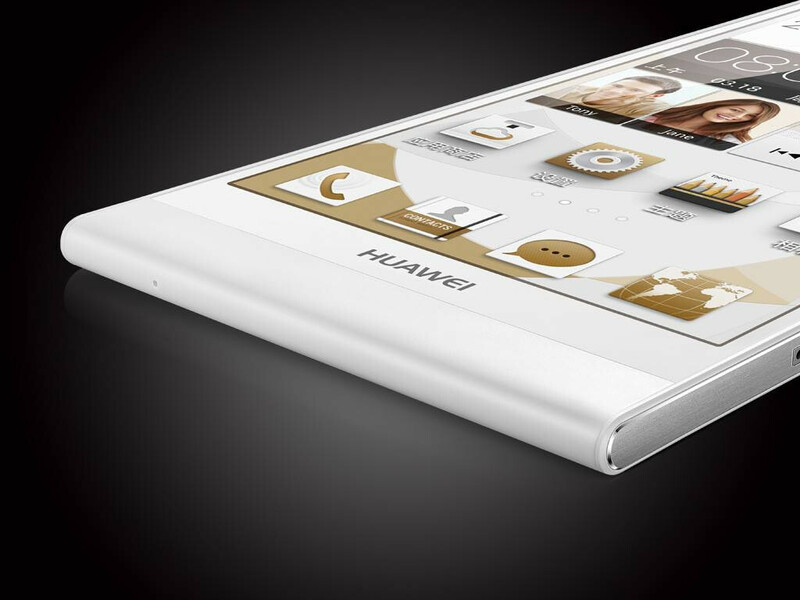 It's simply beautiful, but im not going to buy a Huawei product. I'm sorry but from Chinese products I prefer Chinese food and Apple! samsung take note....this is how a phone is suppose to look like.. idiots! !...now we need good specs huawei and my money is yours. i thought the xperia zu was thinnest until this came along.. 6.5 vs 6.2 whats up with the trend..
Huawei is also teasing great viewing angles on their phone. Man if the viewing angles will be so, it will surely be a great screen. Where the f is the thumb down button at? That device looks so good! Beautiful work.